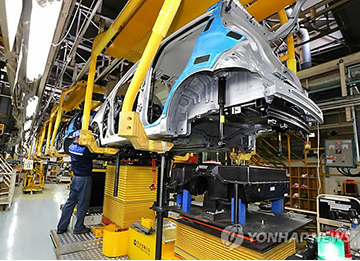 South Korea ranked fifth in the global manufacturing index this year, but is expected to drop one spot due to India’s rise in 2020. According to the upcoming 2016 Global Manufacturing Competitive Index, a joint report by the United States Council on Competitiveness and Deloitte Global, a global accounting and consulting firm, South Korea placed fifth after China, the United States, Germany and Japan. The report, however, projected that the United States will become the most competitive manufacturing nation over the next five years, while South Korea will drop one spot to sixth as India, currently placed 11th, is expected to jump to fifth place.